At least 20 killed and 13 injured after a mini bus fell into a deep gorge. The bus was heading towards Ramban from Banihal on the Jammu -Srinagar National Highway. The incident is being reported near Kela Moth. The police force have reached the spot and started a rescue operation. 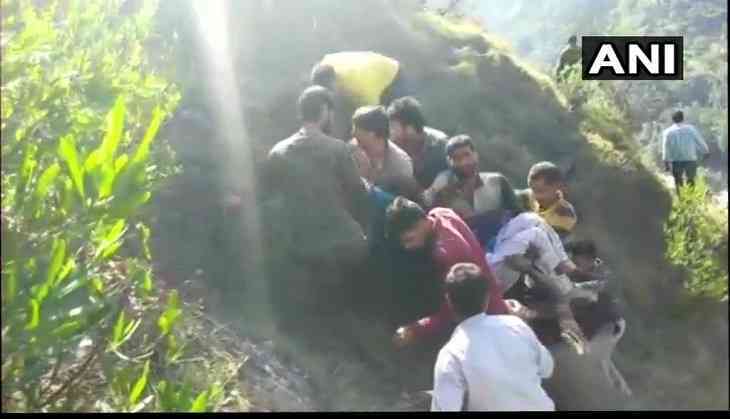 Last month, at least 13 people were killed and around two were injured after a jeep fell into a deep gorge near Sanial in Himachal Pradesh's Shimla district on Saturday. The accident took place at Snail, three kilometres from Kuddu on Tiyuni Road. The injured, including a child, have been admitted to Rohru hospital, Shimla Superintendent of Police Omapati Jamwal said. A police team led by Jubbal Station House Officer and Swara police post-in-charge is at the accident site, he added.